Chandler, AZ, March 18, 2019 --(PR.com)-- CoValence®, a leading provider of custom cosmetic and OTC products and services, proudly celebrates its 30th anniversary. For 30 years, CoValence has had the pleasure to partner with some of the most prominent and trusted brands in the industry. They are extremely proud of their shared accomplishments and it is CoValence's honor to contribute to the success and integrity of skin care businesses around the world. Founder, Linda Walker established high standards of ethics, values, and quality in our work. Today, as a 100% employee-owned manufacturing company, that DNA is well established and influences all aspects of their culture and products. With an emphasis on quality and a dedication to excellence, CoValence stands above the rest; not only providing first-class service to clients, but innovative concepts and formulations to ensure Brands succeed and thrive. CoValence's continued commitment to producing high-quality, innovative cosmetic and OTC products at reasonable volumes, is a cornerstone of their offering and will be for years to come. CoValence looks forward to working with your brand and growing together. CoValence is an FDA registered, cGMP compliant and ISO 22716 certified, assuring consistent quality and rigorous attention to maintaining high standards of performance. 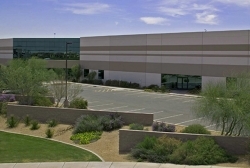 Based in Chandler, Arizona, the company expanded its facility to its current 60,000 ft facility. CoValence is 100% Employee Owned and currently has 126 employees. Find out more about our services at CoValence.com.